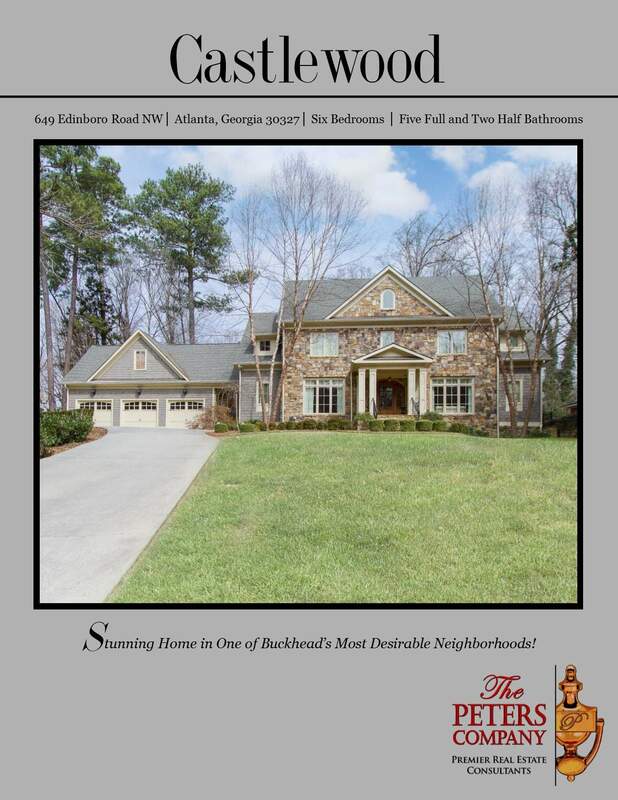 Just Listed :: Beautiful Home in Buckhead's Castlewood! A wonderful place to call home! Nestled on a great street overlooking a quiet park in the extremely popular and active Castlewood neighborhood, this home offers living at its finest. The floor plan, custom features, and charming character of this home will never go out of style. You will love being close to all that Buckhead has to offer with easy access to the highways, byways, shopping, and restaurants that make this area such a well-loved destination. The foyer greets you with rich cherry hardwood floors and an open invitation to the dining room and formal living room on either side. Doors off the foyer lead to a formal living room which could also be used as an office or study. A butler’s pantry connects the kitchen and dining room, providing plenty of additional storage for serving pieces, linens, candles, and wine! A built-in wine refrigerator and ice-maker make entertaining a breeze! The gourmet kitchen features high-end stainless steel appliances, granite countertops, farmhouse sink, oversized island with breakfast bar, and breakfast area that overlooks the family room. The family room located off of the kitchen has a gas starter fireplace with beautiful stone surround and wonderful built-in bookcases. The luxurious master suite is conveniently located on the main level and features recessed lighting and his and her closets with custom built-in shelving. The spa-like master bath is a true retreat and features a double vanity with marble countertop, jetted tub, and separate oversized walk-in shower. All additional upstairs bedrooms are well-sized and bright and have their own full bathroom with marble vanities in each. An oversized bonus room is the perfect spot for an amazing playroom or teen hangout space. A spacious landing at the top of the stairs provides a cozy reading nook along with a large built-in bookcase perfect for storing books, games, collectibles, etc. The basement features multiple flex spaces, a bedroom, full bathroom, and an unfinished, but pre-wired media room that is waiting for your ideas. Tons of additional storage as well! A true mudroom awaits for book bags, coats, shopping bags, a leash– you name it! It even has a private half bath. Not only is there a useful laundry room with jetted sink for washing delicates on the main floor, but an extra wide linen closet on the second level also has washer and dryer connections. The three car garage easily fits your vehicles along with providing plenty of storage space. The covered stone porch with cozy fireplace overlooks a serene backyard and is the perfect spot for outdoor enjoyment and entertaining. It is a true outdoor living space! Professional landscaping, warm paint colors, and a covered front porch provide plenty of curb appeal to this already stunning home. Last, but not least, check out our video on You Tube of this lovely home by clicking here!